Nearly two-thirds of U.S. physicians report feeling burned out, depressed - or both - with one in three physicians admitting that their feelings of depression have an impact on how they relate to patients and colleagues, according to the first Medscape National Report on Physician Burnout and Depression. With more than 15,000 practicing physicians responding across 29 specialties, the majority of physicians reported experiencing burnout (42%), depression (15%) or both (14%), with higher rates reported by women and mid-career physicians. The Medscape report defined burnout as feelings of physical, emotional or mental exhaustion, frustration or cynicism about work, and doubts about one's experience and the value of one's work. Regarding depression, 12% of physicians said they "feel down," and 3% said they experience serious depression. Recent statistics for the general U.S. population show that 6.7% of adults experience depressive feelings.1 The majority of physicians citing depression in the Medscape report said their work was the cause. In fact, a separate Medscape survey on Physician Lifestyle and Happiness found that most physicians are happy when they aren't working. The Medscape Physician Burnout and Depression Report also found that depression affects patient care. One in three depressed physicians said they are more easily exasperated by patients; 32% said they were less engaged with patients; and 29% admitted to being less friendly. Nearly 15% admitted that their depression might cause them to make errors they wouldn't ordinarily make, and 5% linked it to errors they had made that could have harmed a patient. 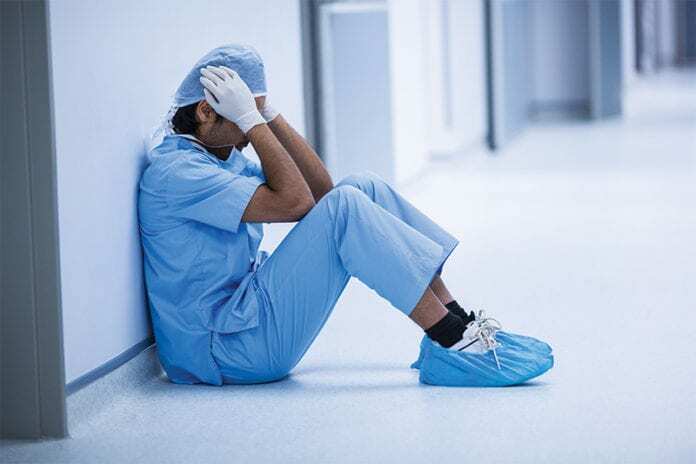 "The Medscape Report on Physician Burnout and Depression shows that there is still much to be done to support physicians around these issues," said Leslie Kane, MA, senior director of Medscape's Business of Medicine. "Physicians are still struggling with the impact of burnout. Additionally, depression among physicians is a concern. Experts are beginning to view both conditions as inter-related, with burnout perhaps being a type of depression that physicians feel more comfortable acknowledging." I have experienced a burned out FP physician. My frustration between MDs and patients is requiring the use of email for communication. My new MD told me via email that she “does not have time to return phone calls to patients” and “perhaps I should find another MD if I need more help!. I was shocked and called her on this behavior and she told her MA to call and fit me in for the next day………..just so I could ask a question. 🤷🏻‍♀️ I am an RN in very good health and have not needed a regular physician for decades until recently. She knew me, had done a full exam and knew my health history. I believe the changes that have taken place since the ACA came into being have gravely changed the patient Doctor /patient relationship. The “I don’t have time to return phones calls to patients” is a key symptom as to what MDs are experiencing in their practices. As a patient in pain, waiting up to 3 days for an answer in an email is NOT conducive to good medicine. In addition, talking to a third party to relay questions and answers is like the old game “telephone” where much is lost in the communication as it is passed on to different people. As a nurse educator I teach my RN students the importance of making eye contact with patients and listening. Shouldn’t doctors also be required and able to do this?